For the past few weeks, many Christians have prayed and followed the plight of Mariam Ibrahim, the Christian Sudanese woman who was imprisoned and sentenced to death in Sudan. She was convicted of apostasy from Islam and after refusing to recant her Christian faith was imprisoned. Ms. Ibrahim, who was raised by her Christian mother after her Muslim father abandoned the family, said she had never been a Muslim. After a worldwide outcry, her conviction was overturned, and she was released from prison. As she and her family tried to leave Sudan, she was again detained for “attempting to use an illegal [false] travel document” and is reportedly now with her family in the U.S. Embassy. It is unclear if she is being formally charged with a crime, but she and her American husband and family are not yet free to leave the country. The concept of executing someone because they have dishonored their family is difficult for Westerners to understand. In his book Honor and Shame, Roland Muller discusses three basic emotional responses to Adam and Eve’s original sin in the Garden of Eden: guilt, shame, and fear. After they sinned, they felt guilt, because they had broken God’s command. They felt shame – they knew they were naked and so they covered themselves. And they felt fear – they hid themselves from God. Cultures and worldviews have been shaped by one or more of these emotional responses. Some cultures primarily operate with one clear worldview; others may be a mixture of all three. Most Western culture is primarily based on a guilt/innocence – we clearly understand the concepts of right and wrong. Guilt/innocence based cultures are typically individualistic. We believe individuals are responsible for themselves and their behavior. Islam was shaped by a different worldview. In fact, the honor/shame basis of Islam originated with Bedouin honor codes. Unlike the individual responsibility of those from a Western mindset, shame/honor based cultures are attached to groups – families, tribes, nations, etc. Shameful deeds affect the entire group and as such they are hidden, and if they cannot be hidden then the shameful deed demands revenge. In this culture the importance of the group outweighs the importance of an individual. If a person shames the family, and the family is unable to hide the shameful deed, the mindset says that the family must avenge. Islam is conformity to the point of submission. Understanding this difference in worldview helps Westerners understand their position as non-Muslims. Because Islam is rooted in this shame based paradigm, actions such as lying to protect the honor of the family or tribe is considered permissible. Few things are actually considered right or wrong, rather they are acceptable or unacceptable based on the family honor. Most Muslims desire to live in peace with their western neighbors, however understanding the basis of the shame/honor worldview helps us as Christians to share the gospel and pray for them. As Western Christians pray for the salvation of the Muslim people, we can rejoice in the fullness of the Gospel of the Kingdom which reconciles us to God – no more guilt; no more fear; and no more shame! Pray for the safety of Christians such as Miriam Ibrahim and her family in Muslim nations. Sudan is listed as the 11th most hostile nation in the world to Christians by World Watch List. Pray that Christians will understand how to share their faith with people from different worldviews and cultures in a way that does not compromise the truth of the gospel, but yet still communicates the finished work of the cross. Because shame/honor is extended to an individual’s family, pray for Muslim background believers who find their lives threatened, because their conversion to Christianity is considered a shame on the group. Pray for those Muslims who are speaking out in their communities against honor violence. Pray that Muslims will begin to question practices such as the idea of eliminating shame through revenge and bloodshed. 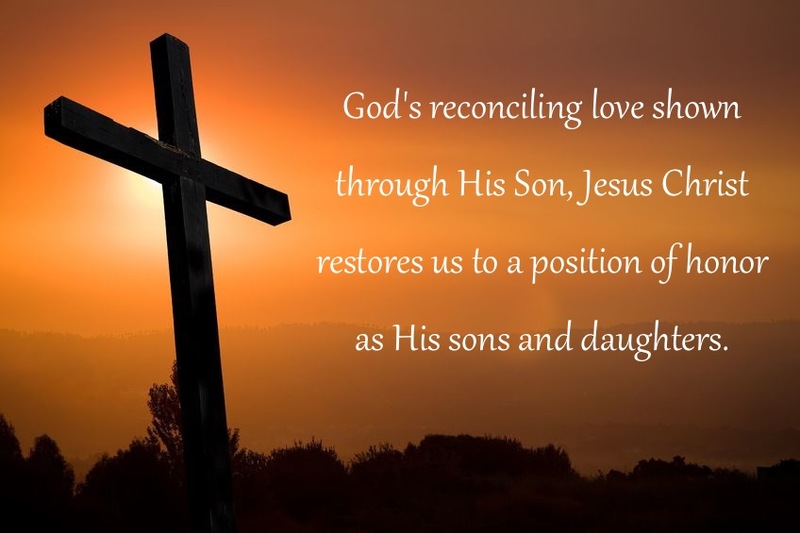 Pray that Muslims will see the completeness of the cross of Jesus Christ, and will come to embrace God’s reconciling love that restores us to a position of honor as His sons and daughters.